According to FINRA, approximately 10,000 Americans will turn 65 each day for the next 15 years. Studies reveal that the elderly lose an estimated $2.9 million due to investment fraud each year. In fact, in 2014 alone the Federal Trade Commission tracked approximately 117,230 fraud complaints involving seniors age 60 and older. The federal government, along with securities fraud attorneys across the nation, believe that providing education to America's elderly population about red flags to watch for and what to do if they suspect investment fraud are essential tools for helping to reduce the number of fraudulent investments that are attacking the elderly. Why Are Seniors at Higher Risk for Investment Fraud? As individuals age, they are at a higher risk for being cognitively impaired. They can become confused easily when a fast talking broker starts spilling out "facts" and impressive numbers about investments. Many baby boomers are living longer these days, and they are becoming concerned that their retirement nest eggs will not last long enough to support them throughout their lifetime. In a rush to build a larger financial cushion, many are tempted by investments that are said to bring large returns in little time. The elderly community is often more trusting than today's middle aged adults. 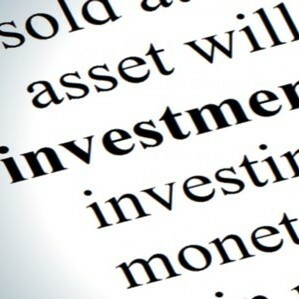 They do not always investigate investments or the credentials of brokers as thoroughly as other investors might. Seniors often have sizable retirement funds or savings accounts. What Exactly is Elder Investment Fraud? When a broker or financial advisor knowingly pushes an investment opportunity on an elderly investor that he or she is aware is not in the best interests of the individual, given the person's age, health, financial capacity and investment experience. Failing to disclose the true risks of an investment to the elderly individual. When the broker or financial advisor is aware that the investor is not cognitively capable of making a competent investment decision and continues regardless. When the broker or financial advisor makes unauthorized sales or transfers, breaching the fiduciary duty to the senior. There are various ways that seniors can help protect themselves from becoming victims of investment fraud. Stockbrokers and financial advisors credentials should be investigated thoroughly. While working with seasoned, well known brokerage firms is a much safer bet, it isn't without its risks. When in doubt, a seasoned securities fraud attorney can assist individuals with assessment. Additionally, seniors can check the backgrounds of brokers for free at the SEC's online database or FINRA's BrokerCheck online database. Be aware of red flags. These often include things like the promise of large returns quickly, the lack of information about the investment or its progress, being told that the investment is at minimal or no risk, and pushing "here today, gone tomorrow" opportunities. Watch out for unsolicited offers. In many cases, fraudsters will advertise investments through email or over the internet in hopes of driving up sales which push the sales price of shares up. Then they sell their own shares at significantly higher prices, "dumping" them and no longer promoting the investment. When this happens, share prices quickly fall. Be wary of "free lunch seminars". Financial advisors often lure unsuspecting seniors to these "informational seminars" with promises of free lunches, vacations, and other incentives. These events are typically held in upscale hotels, restaurants and golf courses, but are sometimes held in senior communities as well. While it is common for the advisors at these events to provide legitimate information about creating a more secure financial situation for seniors, they often slide in sideways with strong sales pitches for high risk or fraudulent investments. According to recent studies, more than 10 percent of these "free lunch seminars" include fraudulent events. It is important to note that some of the main reasons that brokerage firms and financial advisors so easily get away with scheming America's senior population is that either the investment fraud is never caught, or elderly investors never report it. In order to help protect the aging population of the United States, it is essential for family members to become involved, observant, and aggressive in reporting any investment opportunities that may appear suspicious.